Builders Arms Hotel…. *drool* | 15,000kms of Food! Builders Arms Hotel is amazing! 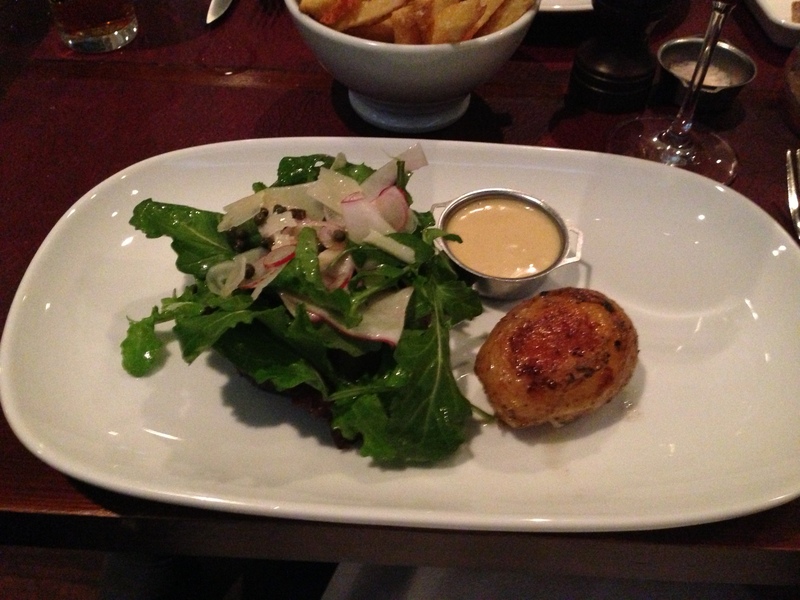 Went there for date night a few weeks ago as I was craving roast, and was totally blown away by how good the food was. First up, we had crispy pork and school prawns. 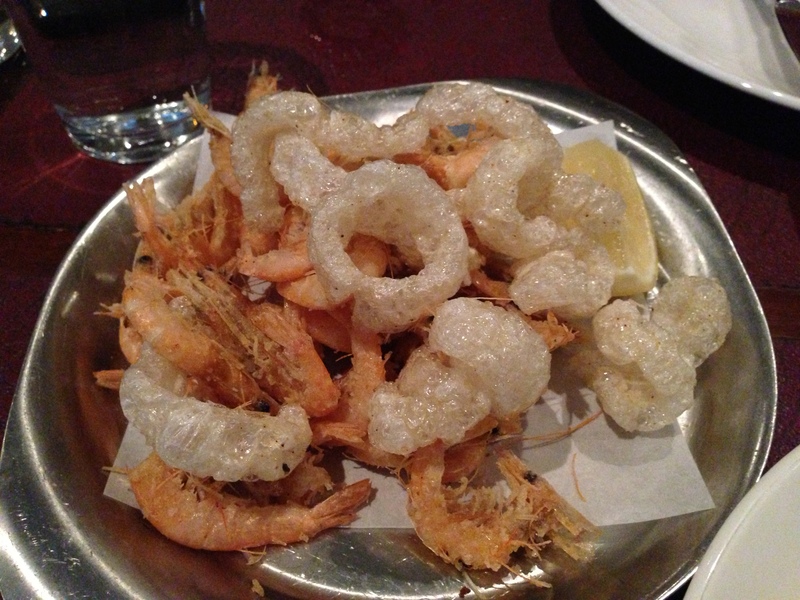 Pieces of pork crackling and crispy school prawns in a dish together – who woulda thunk? It was great. 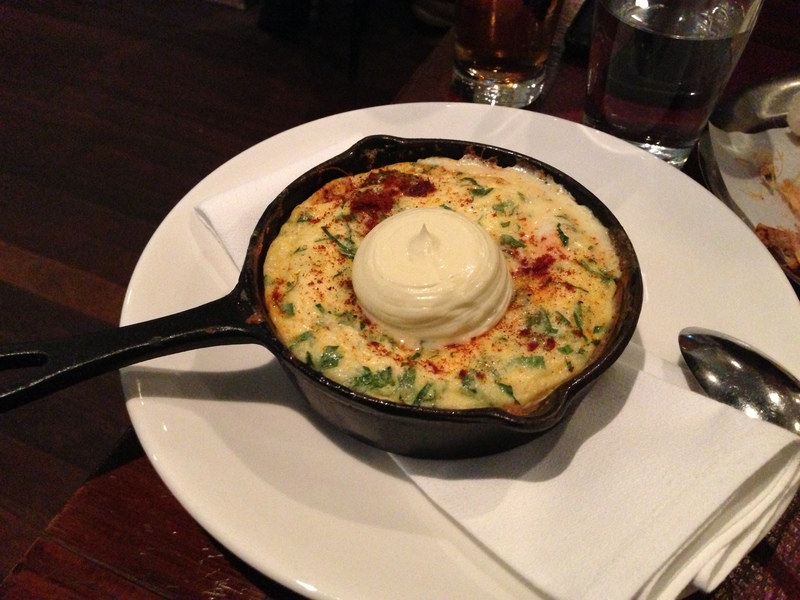 The prawn omelette, aioli and smoked paprika was a fluffy, soft and tasty pan of goodness. Topped with a dollop of aioli. Excellent stuff! As mentioned earlier, I was craving roast so I had to have the slow roast beef, with hasselback potatoes. The beef is hidden under the greens in the pic below, but let me assure you, it was roasted perfection. 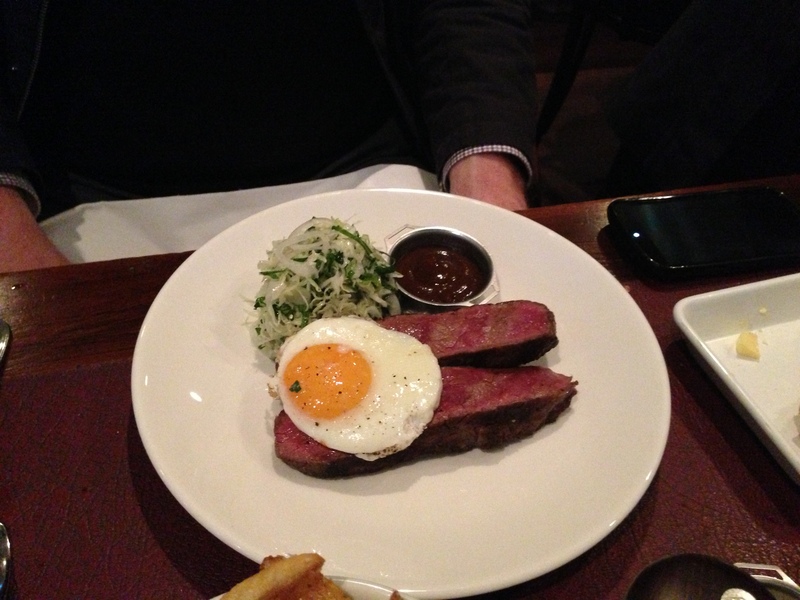 My dearest fiance had ‘The George’ NY strip, 250g, fried egg and gentleman’s relish and we shared a side of chips. Whilst I didn’t taste the steak, no doubt the food was exceedingly well presented and judging by the silence that followed as soon as the plate hit the table, I’m going out on a limb to say it was tasty.